of the magic of the movies. You can’t watch every movie ever made, but it just might be possible to collect a piece of memorabilia for every movie ever made. That was the task a young man named Morris Everett Jr. set for himself in 1961, and in the subsequent 50-odd years he came closer than any other collector ever has to achieving that goal. Without any great wealth, armed mainly with movie-buff energy and a thirst for the material, Everett began buying ephemera such as photographs, lobby cards, and promotional materials and then moved on to posters. Over the years, as his taste developed and prices rose, he made financial sacrifices to feed the beast of his collection, which eventually grew to 197,000 objects. 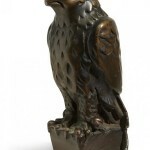 Recently Everett decided to allow other collectors to benefit from his assiduousness and consigned the entire trove to Profiles in History, an auction house in Calabasas, Calif., which started offering the pieces as individual lots on June 29–30, in the first of a multi-part auction series. 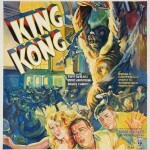 Rarity and increasing awareness of the importance of classic movie posters have raised prices across the board, but there are distinctions of technique and medium that collectors are sensitive to. According to Smith, the most prized in terms of fineness of finish are posters created by stone lithography. That method, which was cumbersome and difficult—it was hard to line up the stones, and sometimes the colors would be out of register—predominated until the early ’30s, when offset lithography took over. The studio that held onto stone the longest, says Smith, was 20th-Century Fox, which kept at it into the ’40s. Hard-core collectors know the names of all the printing companies— H.C. Miner, Otis, Morgan, Continental—and consider them as relevant as the artists and the studios. The artists for the earliest posters were often anonymous. Among the well known creators of mid-century posters are Reynold Brown (Creature From the Black Lagoon), Saul Bass (Vertigo), and Robert McGinnis (Breakfast at Tiffany’s). Howard Terpning, now considered the top living painter in the Western genre, once did movie posters, including those for The Guns of Navarone and The Sound of Music. “For all of the classic films that were done just before and after the Second World War,” says Smith, “the graphics were just gorgeous. After the war, my belief is that the poster artistry dropped down a notch. For the Bogart films, for example, they’re very stark duotone posters, not very colorful or pretty. That was less expensive, but I don’t know that it was just about economics. I think they thought it was an edgy, contemporary style, and that’s what they wanted them to be.” One of Smith’s favorites is the poster for Stagecoach, a stone-lithographed work from 1939 in which the film’s star, John Wayne, is not depicted. All we see is a stagecoach coming over a hill in a haunted nocturne that hints at the calamitous action to come. Smith is also fond of Italian posters—“some of the best there is”—and admires Polish posters for their “edgy, very avant-garde” styles. For some reason, Poland has produced some of the most distinctive and daring poster designs, especially for American films from the ’70s on. The designs for these, often Surrealist-tinged, whimsical, and graphically simplified, have nothing at all to do with the look Hollywood originally gave them. Polish artists even managed to make Weekend at Bernie’s look like a cutting-edge experimental film. As for what makes a poster desirable on the market today, Smith cites title, star, and image—plus rarity, as with any collectible. In the top tier, prices go north of $100,000 and top out just under $500,000. 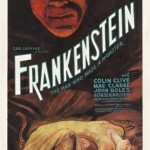 Early horror films are top-tier; the top 10 sold at Heritage, all for over $250,000 are all horror. Smith believes great graphics, the mystique of horror, and an extra dose of rarity account for this phenomenon. 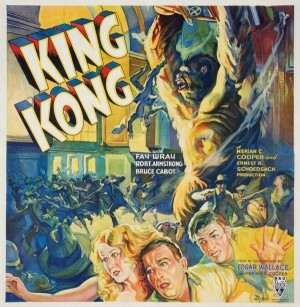 Mid-tier posters sell for a few thousand up to just under $100,000, and many great images are available in this price range—Citizen Kane, War of the Worlds, Lon Chaney silents, and more. Many posters from the ’50s are still very affordable and are expected to rise in price in the coming years. Many for movies starring Elvis, James Dean, and Marilyn Monroe are in this category, according to Smith. The market took a hit during the recession, along with all art and collectible markets, says Williamson, “but has certainly bounced back. I think that the most dramatic exception is silent film. 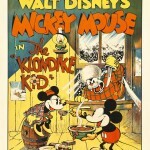 In the ’70s there was a big market for them, but that has pretty much dried up, mainly because there are very few silent film stars or films that are household names anymore.” Still, due in part to TCM, not to mention Netflix, Hulu, and YouTube, a younger generation is being introduced to classic-era films, which will help ensure that the movie poster and memorabilia-collecting field will stay vital.